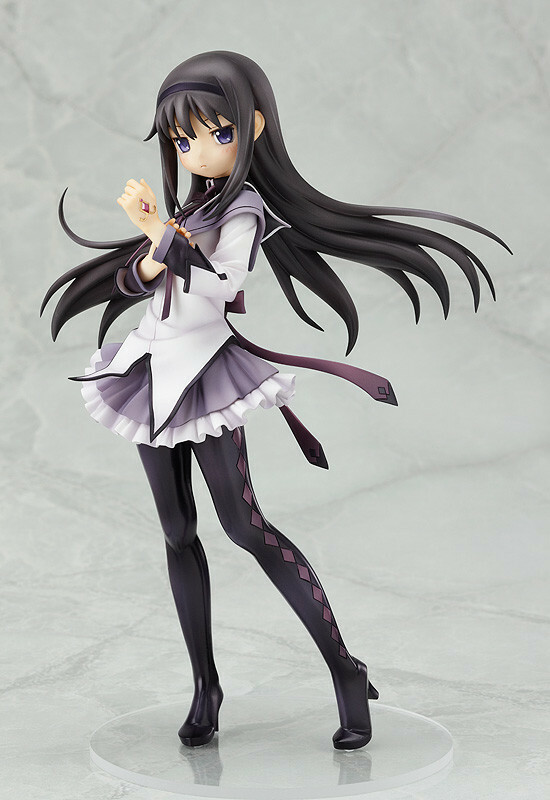 The ever-determined, mysterious Puella Magi. 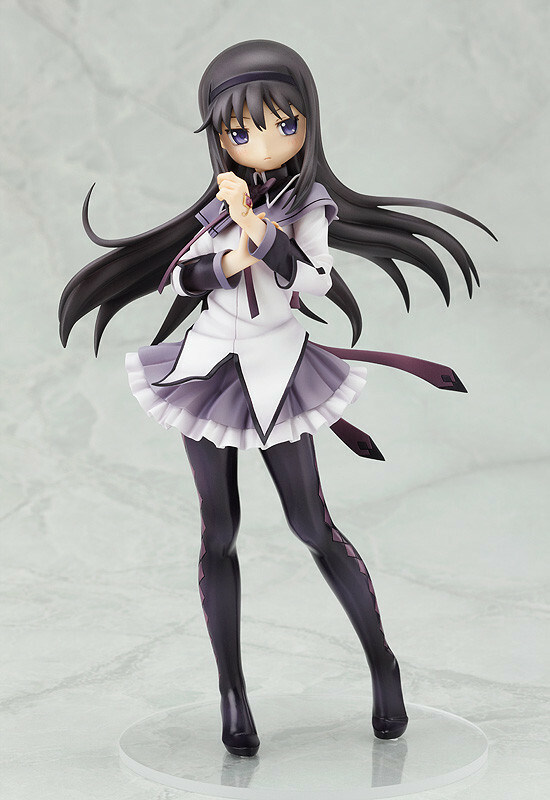 From the popular anime series 'Puella Magi Madoka Magica' comes a 1/8th scale figure of Homura Akemi, the mysterious, yet beautiful transfer student to Madoka's school! 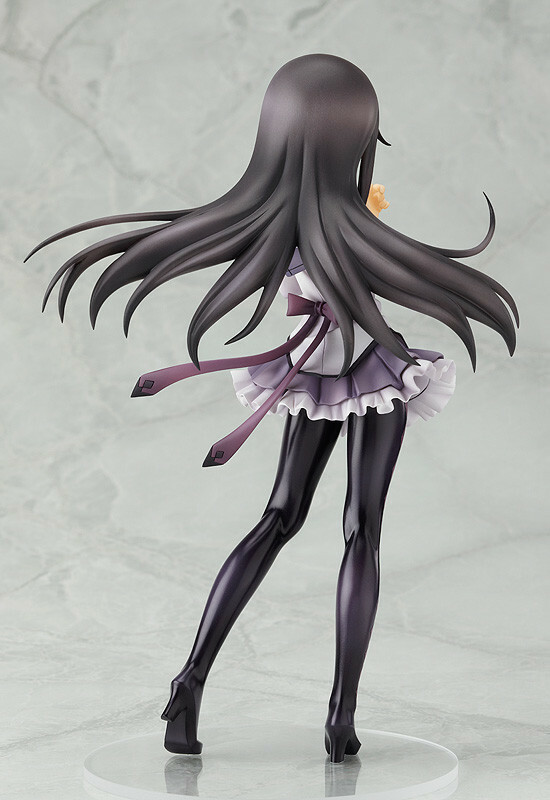 She is posed standing up with a Soul Gem on the back of her left hand - a pose based on one of the key visuals used for the series. 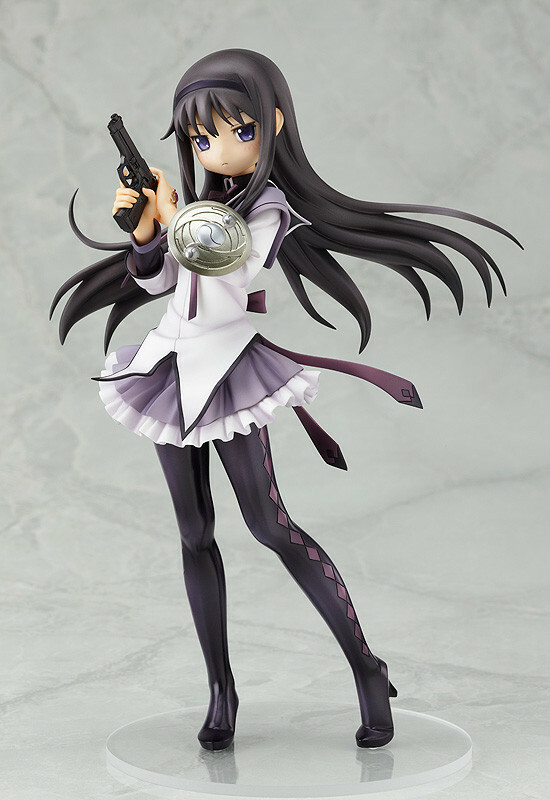 She also comes with replaceable arm parts that allow you to equip her with a shield and pistol! 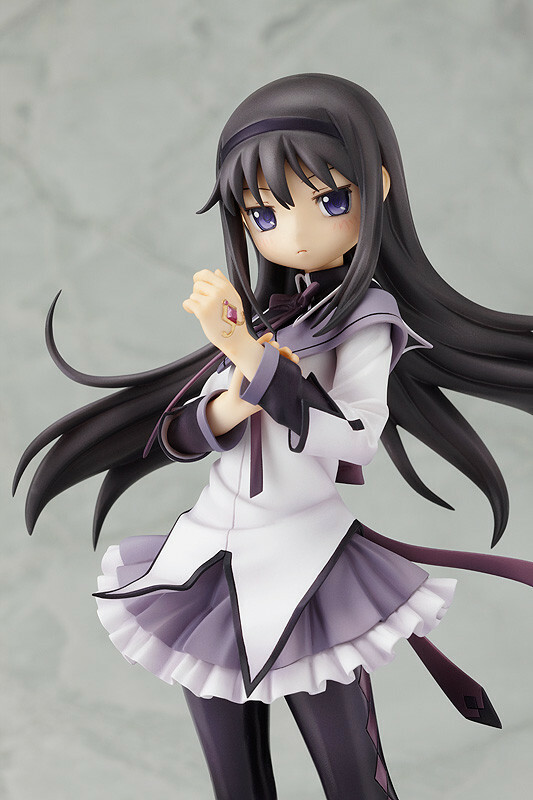 Pick the pose you prefer, and enjoy Homura's determined expression wherever you choose to display her!